Mineral Springs park has had a busy and successful month! See below for a summary of July's events and some ways to get involved this month. On July 3rd, the community around Mineral Springs park met to discuss future events and initiatives in the park. 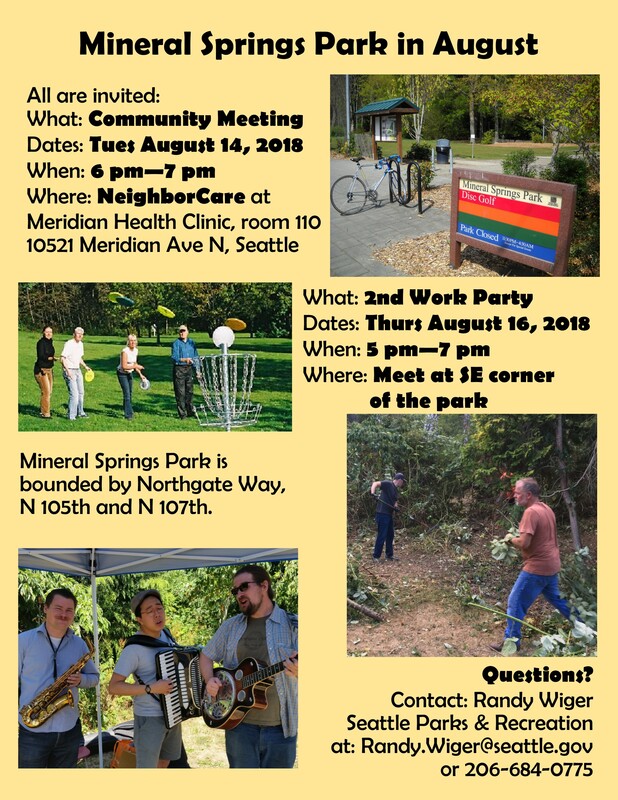 If you'd like to get involved, the next Seattle Parks community meeting will be held on Tuesday, August 14th from 6-7pm at Meridian Center for Health, room 110. 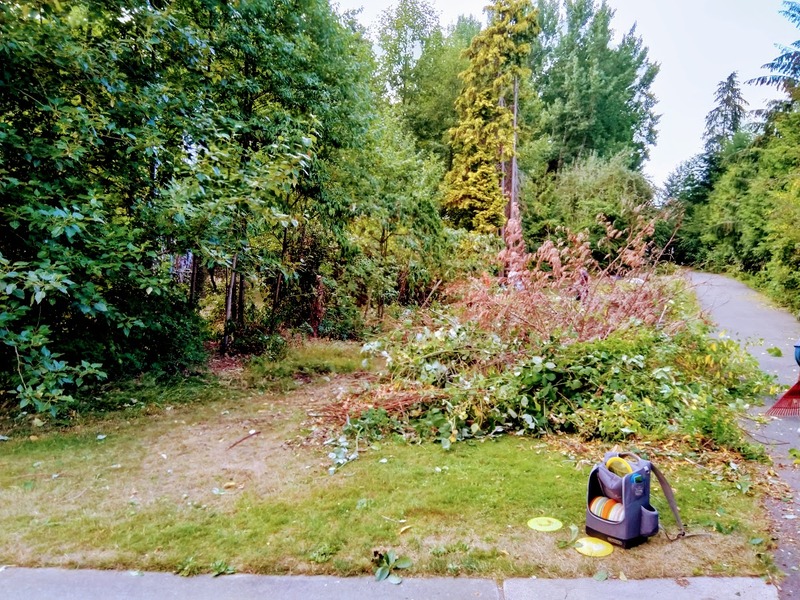 Did you know that the Mineral Springs Park is the only disc golf course in the city of Seattle? 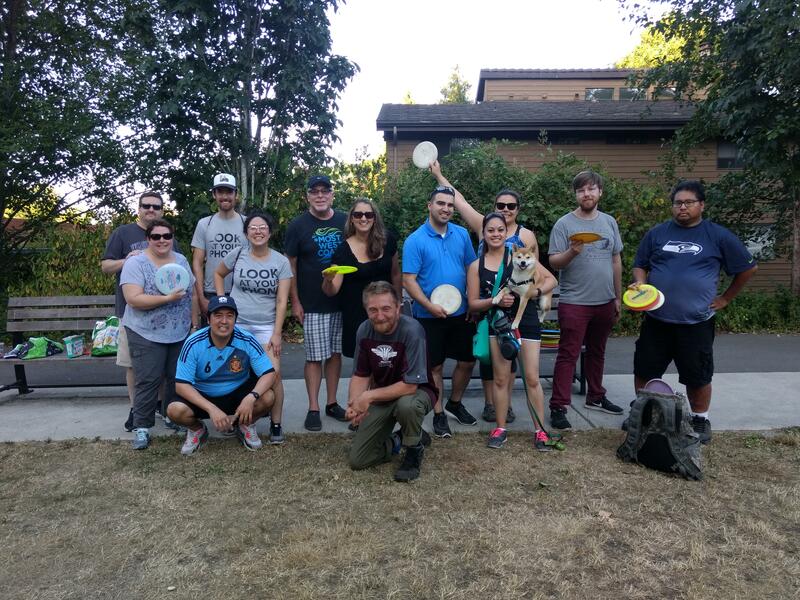 On July 12th, Seattle Parks department met with the disc golf community to discuss needed improvements to the disc golf course in Mineral Springs Park. Additionally, on July 17th, LoveLicton.com held its second "Learn to Disc Golf" event in partnership with the local disc golfers. The event was a resounding success! 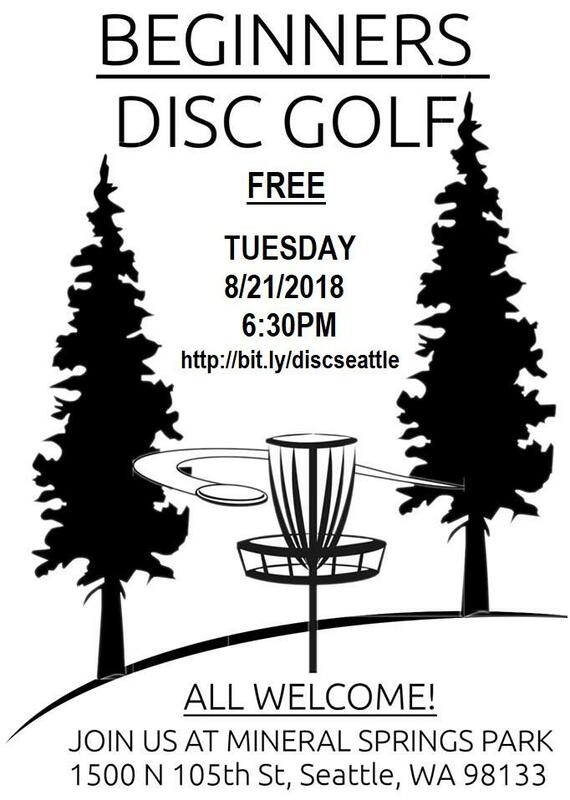 We will be holding our next beginner's disc golf event on Tuesday, August 21st from 6:30pm to 8pm. 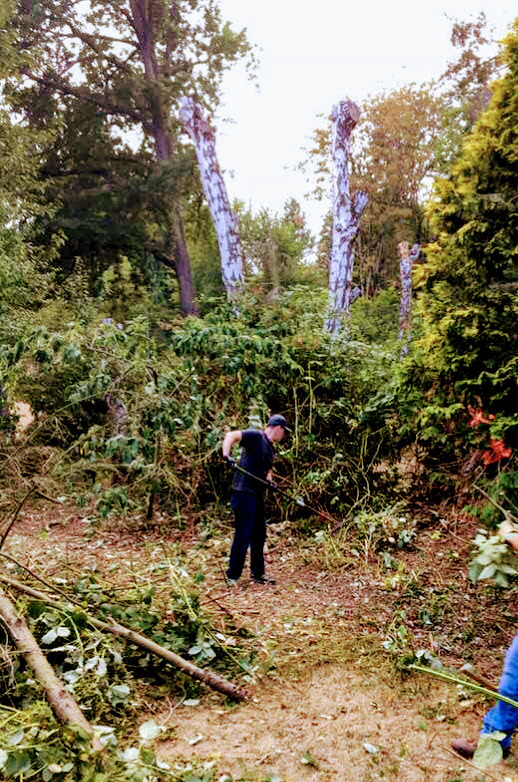 On July 19th, the community came together for a Mineral Springs Park work party to help increase visibility in the park and clear tremendous amounts of brush and blackberries, primarily from the southeast corner along the walkway. You can really see the difference! 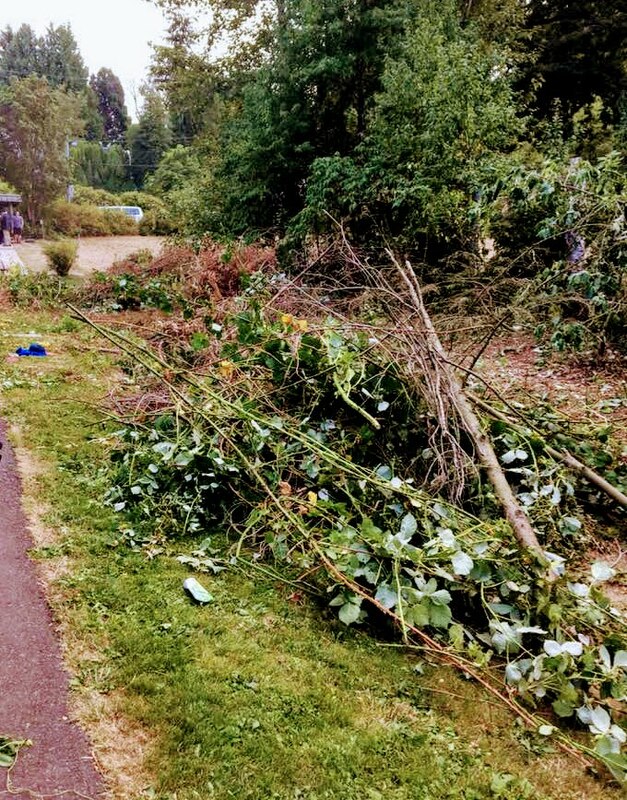 the next cleanup will be held on Thursday, August 16th from 5-7pm. 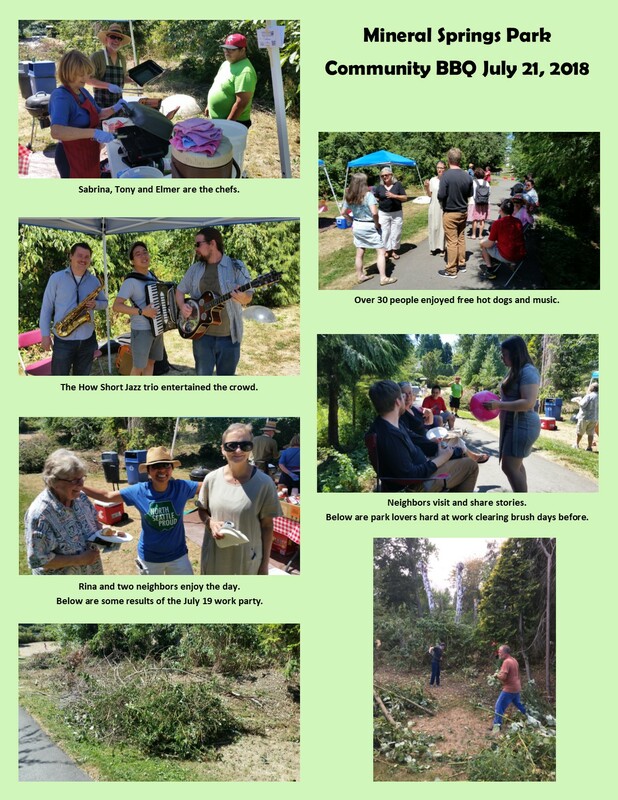 On July 21st, the community, in partnership with Seattle Parks, held their first event - a free BBQ! Lawn games, live music, food, and neighborhood bonding! Lots of fun was had by all. Thanks to How Short for keeping us entertained with live jazz and our neighborhood volunteers who tended to the grills! Look out for our next event later this summer/early fall. It's been amazing meeting so many wonderful people from the area and seeing the community come together around this Licton Spring's gem. 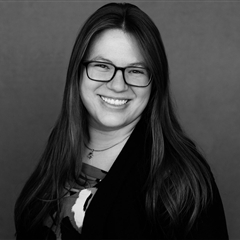 Let's keep up the community engagement! Hope to see you at some of the upcoming events.